What Could My Myrtle Beach Home Sell For Today? Have you ever wondered what that home down the street sold for? Want to know what Myrtle Beach oceanfront or golf course condos are selling for? Are you interested in knowing what your Myrtle Beach home is worth in today’s market? Grand Strand Property Values provides you with all the Myrtle Beach home sales and property value information you need. Myrtle Beach home, condo, and land sale prices are conveniently displayed in searchable tables for your convenience. Search by subdivision, city, or sale date. Recent and previous years home prices are available for all Grand Strand neighborhoods. View property values and home prices for all of these communities: Atlantic Beach, Aynor, Briarcliffe, Carolina Forest, Conway, Garden City, Litchfield, Little River, Longs, Loris, Myrtle Beach, Murrells Inlet, North Myrtle Beach, Pawleys Island, Socastee and Surfside Beach. Unlike Realtor.com, Trulia or Zillow, Grand Strand Property Values gives you actual recorded sales data and allows you to freely download our Myrtle Beach home price data into spreadsheets, or save information as pdf files. We provide you with complete up to date information in an easily searchable format. 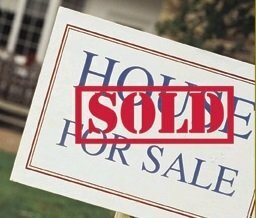 Detailed Myrtle Beach Home Value Reports are available by request. These reports are complete with listing details, prices, and pictures of comparable nearby properties.